and here at Superior Credit Management we're here to help! How can you quickly collect the money you’re owed without stress, hassle. No matter how big or small the account we will look after you! 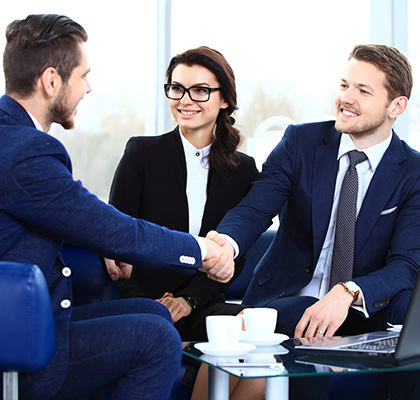 Superior Credit Management is based on the belief that our customers’ needs are paramount. Furthermore, we have experience debt collecting in Auckland and the rest of New Zealand for clients in a diverse range of fields including accountancy, finance, telecommunications and media, to name but a few. Debt Collection the Superior Credit Management Way! Many business in all types of industries and occupations seek us out everything in New Zealand and especially in Auckland. All these have one common denominator and that is they are owed money by at least one or more of their clients and they don’t want to just write it off. These business people are asked the same question that you may well be asking and that is now to quickly get your money returned to you without a costly legal process and without stress. As one of Auckland’s reliable debt collection companies we can take over so you don’t have to waste your time with unanswered phone calls and emails giving you the ability to get back to your main business. Our clients know we have a high success rate at getting back your money to you. The level of service at Superior Credit Management Ltd is fantastic. Having been a customer for many years, I am consistently impressed by the professionalism of their staff. Thank you! In this day and age, it’s hard to find a company you can trust. Superior Credit Management Ltd was recommended to me by a friend, and now I know why – the quality of service I received was outstanding. Keep up the good work! I have no doubt that if it had not been for your efforts with the largest debtor at that time we would have had bad debts written off in excess of $50,000.00. The relationship that you built up with my clients who were reluctant to pay meant that we could relax in the certain knowledge that you were on the case and our confidence in our pursuing and receiving those outstanding receivables added hugely to our cash flow. I am pleased to confirm that my firm has used Superior Credit Management Limited on a number of occasions to recover outstanding debts. I am also pleased to confirm that I have had an excellent working relationship with this company and they have acted in a timely and professional manner and their service has exceeded my expectations. In particular I have found the advice given by the owner, Colin Smith, to be very helpful in identifying the best options when seeking to recover overdue debts. I have no hesitation in referring this firm to any organisation seeking credit management and debt collection services. Would you like to speak to one of our professional collectors over the phone? Just submit your details and we’ll be in touch shortly. You can also e-mail us for any further concern.